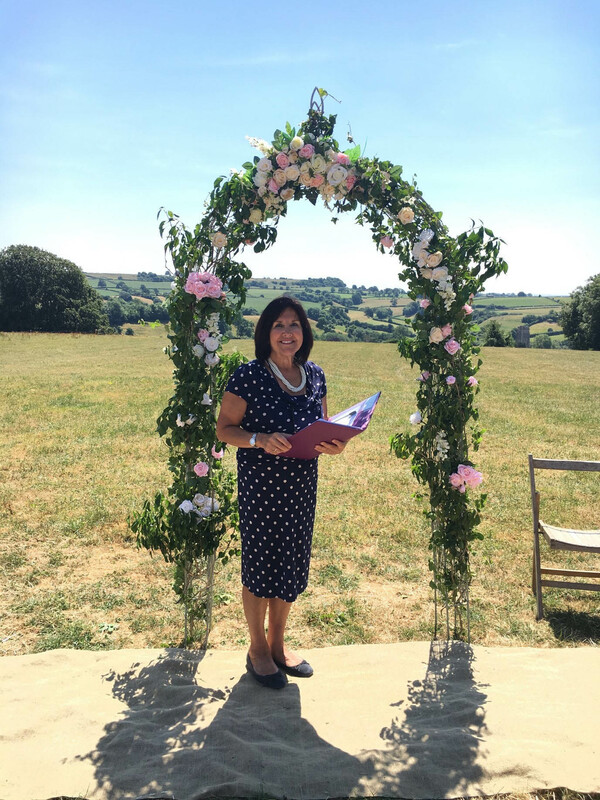 Waiting for the bride – on a beautiful, hot summer’s day! Penny Square Barn is often described as a well-kept, beautiful secret. 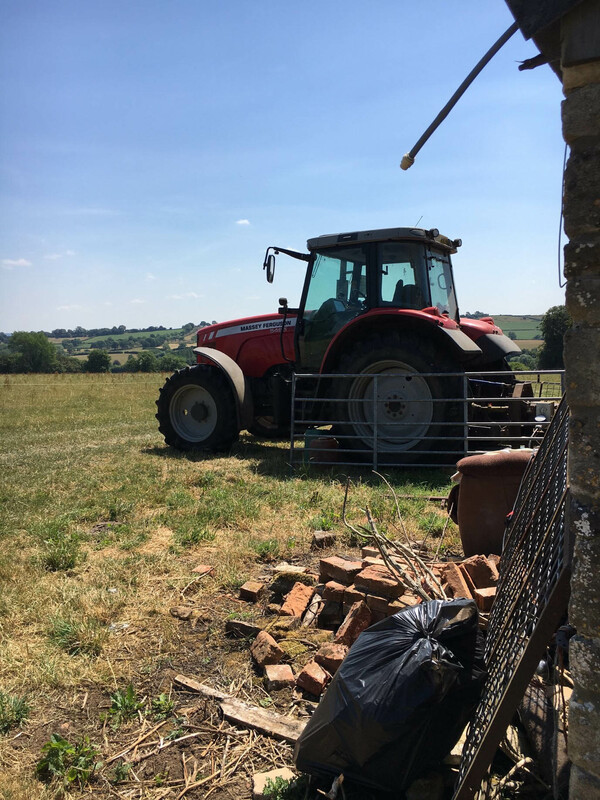 A rustic barn nestled in the Batcombe Vale of Somerset, surrounded by glorious countryside stretching as far as the eye can see. The finishing touches that made the barn the perfect place for their Wedding Ceremony. When I met with Ellie and Chris to plan their wedding ceremony, they told me that they chose the barn because it was a beautiful blank canvas on which they could stamp their own individual and quirky style. 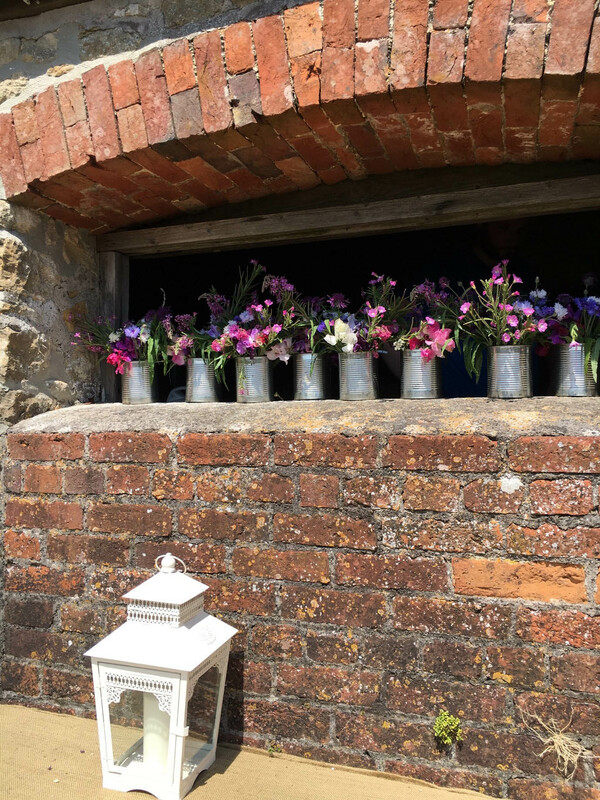 When we met at Penny Square Barn the day before for a run-through, to ensure everything was perfect on the day, Ellie and Chris were in the middle of shifting heavy hay bales and laying carpet to create a glorious ceremony space. They certainly made it their own! I always seem to have a tractor at my weddings !! What a beautiful moment in Chris and Ellie’s wedding ceremony. 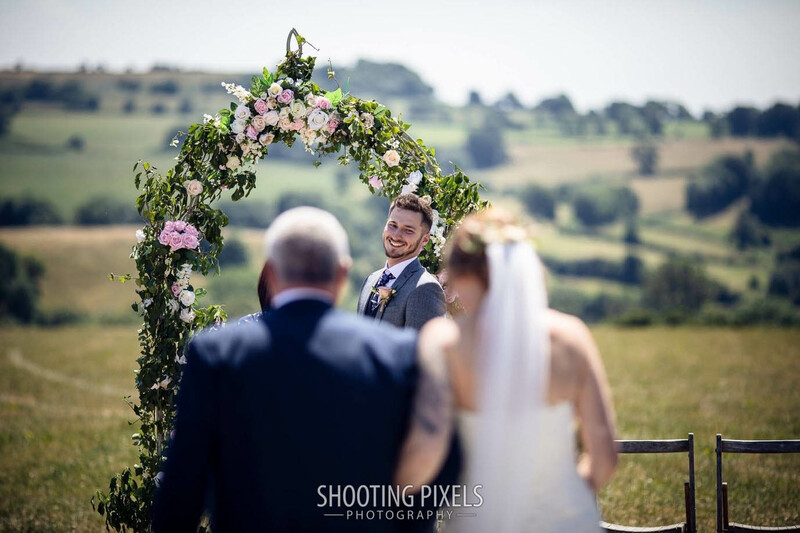 The absolute delight on Chris’s face as he turns to see his beautiful bride, walking towards him has been captured perfectly. You can really feel the deep love and connection between them ! 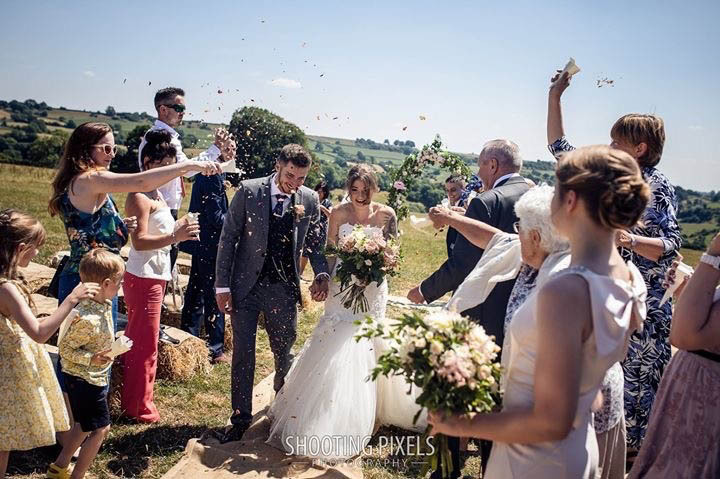 Ellie and Chris’s beautiful, rustic, wedding ceremony was held outside on a gloriously hot, hot, hot summer’s day. 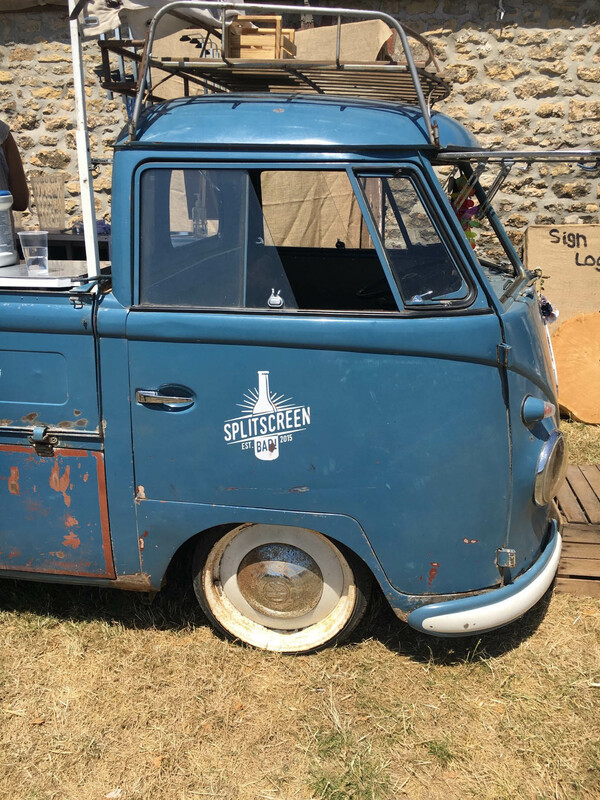 The split-screen bar fitted in perfectly at Elli and Chris’s rural, rustic wedding !! 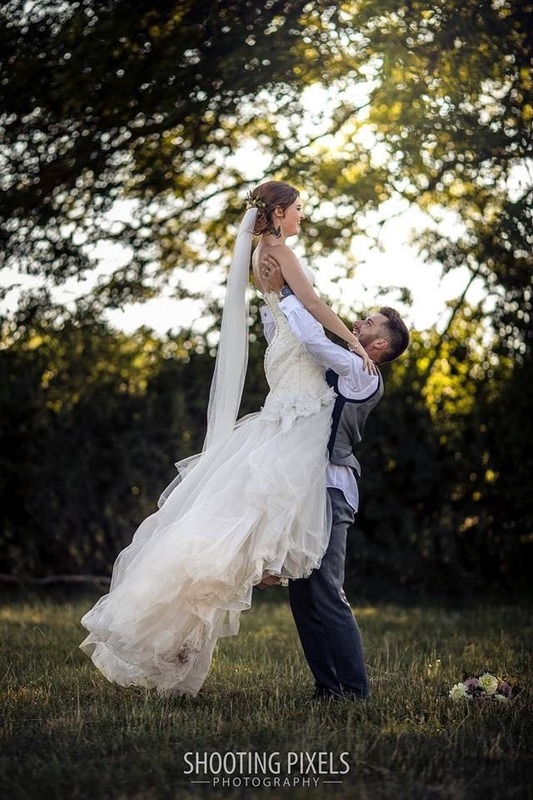 Congratulations to you both – Ellie and Chris, you are a beautiful couple and you had an amazing wedding day. I wish you every happiness as you embark on life’s new adventures together. Thank you for letting me be a part of your day. Thanks to Andy for the Shooting Pixels snaps.